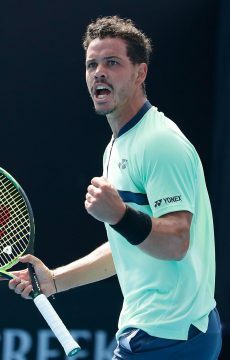 Wildcard Alex Bolt has scored the biggest result of his career with a five-set upset win over 29th Gilles Simon on an atmospheric Court 3 at the Australian Open. 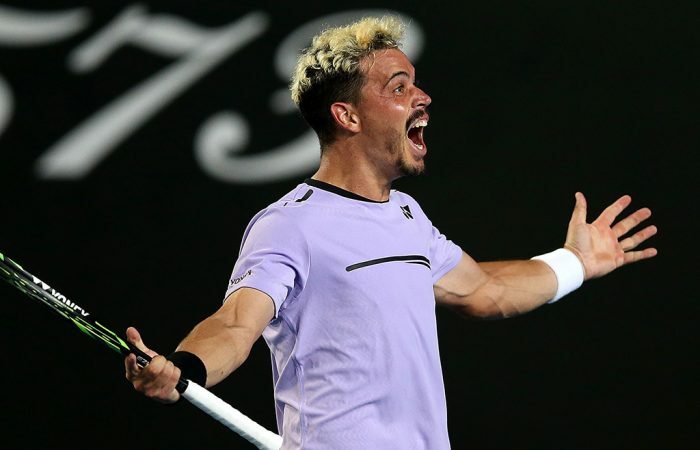 Wild-haired wildcard Alex Bolt has given Australia its best start to the Australian Open in 15 years with a pulsating second-round win over veteran Frenchman Gilles Simon. Bolt saved four match points in a thrilling 2-6 6-4 4-6 7-6(8) 6-4 fightback over the former world No.6 to leave fans on Court 3 in a frenzy. FOUR HOURS LATER: Alex Bolt advances over Simon in an absolute marathon. 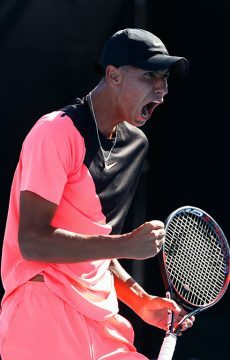 With fellow wildcard Alexei Popyrin getting past 2018 French Open finalist Dominic Thiem, who retired trailing by two sets earlier on Thursday night, Australia has five men and women in the last 32 at Melbourne Park for the first time since 2004. “I think we are in a pretty good spot. 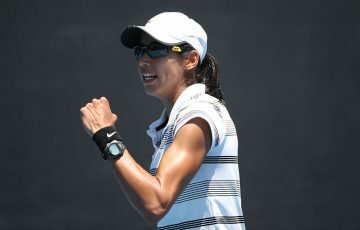 Hopefully some of us can win another round and go deeper into the tournament,” Bolt said. 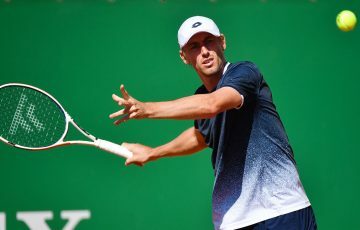 Bolt smoked 43 forehand winners against the 29th seed Simon, backing up his maiden Grand Slam tournament win on Tuesday over American Jack Sock. 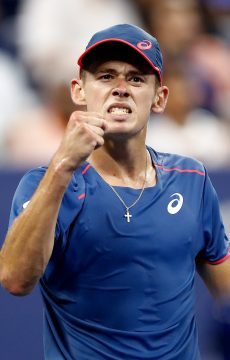 The 26-year-old, who took a break from tennis three years ago to work as a labourer with his brother, had never before beaten a player ranked inside the top 70. “My parents have come over from Murray Bridge. 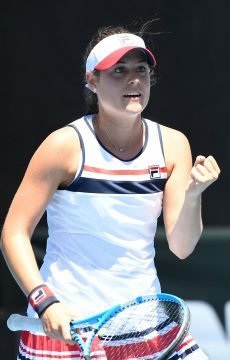 To be able to perform like this in front of them is real special,” he said. 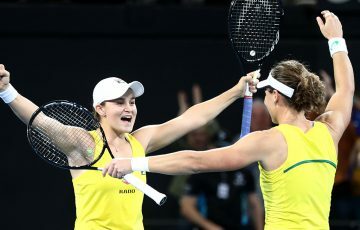 Big guns Ashleigh Barty and Alex De Minaur will keep the flag flying on Friday when they play Greek Maria Sakkari and Rafael Nadal respectively, while wildcard Kimberly Birrell faces second seed Angelique Kerber. 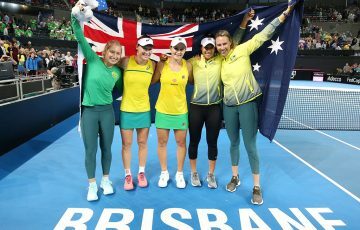 The last group of five Australians to make the third round was Mark Philippoussis, Lleyton Hewitt, Todd Reid, Nicole Pratt and Alicia Molik. 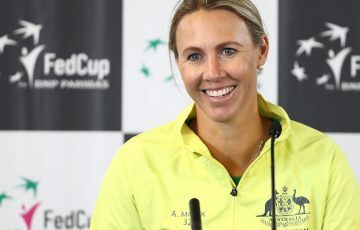 Bolt will meet either German fourth seed Alexander Zverev or Frenchman Jeremy Chardy for a place in the fourth round.